For roughly six hours, the Doctor had been kept waiting in a security cell. It was a small room not much bigger than an airing cupboard, with shiny steel walls and nothing else. There wasn't even a bench to sit on. The door was solid and there were no windows, or even much air circulation. Only enough to allow an oxygen-breathing prisoner to live. It clearly wasn't meant to give the prisoner any sense of comfort. In fact, the Doctor knew it was deliberately intended to create extreme stress and anxiety. As was the long wait. When Commander Pruda finally arrived at the cell, he found his prisoner on the floor. His back was propped up against one wall, knees jackknifed due to the confined space,. His hands formed a makeshift pillow, folded behind his head. The Doctor appeared to be peacefully sleeping. He was even snoring slightly. Pruda pressed a button on a key pad attached to the wall outside the cell. Immediately, an electrical jolt coursed through the walls and floor inside. "Ow!" Suddenly shooting to his feet, the Doctor was rudely jerked awake. Rubbing his backsides, he threw the commander a baleful glare. "If that's your idea of a courtesy wake up call, I'd hate to see what you'd use as an alarm clock." "Just what do you think you are doing?" Pruda shouted at the Doctor. "A little recreational napping. You should try it sometime. Very relaxing way to pass those long hours alone. Er—assuming you are alone? Have girlfriend you can talk to? Boyfriend? Or a nice pet, perhaps? I used to have a pet dog, you know. I do miss him sometimes. Always pleasant to have someone to talk to. Except when they natter on, non-stop. Blab, blab, blab. I hate being stuck with someone who never knows when to shut up—"
"Oh, do shut up!" Pruda barked at him. "If you'd stop talking long enough, you'd find out that the captain has decided to grant your request. He awaits you in the conference suite." Pruda nodded to a guard who opened the cell door. "Alright you. Let's go." "Two of my favourite words. Alons'y!" Grinning, the Doctor took the lead, striding down the long, bare, slightly rounded ship's corridor. In the wrong direction, apparently. Pruda pointed in the opposite direction. Doing an about turn, the Doctor continued on. The confused guard following along behind him, like a duckling chasing after its mother, earned the guard a scowl of disapproval from his commander. Minutes later, the Doctor was comfortably ensconced in a well padded chair. He was seated at the far end of a long polished black table, which was inset with computer terminals. He'd helped to himself to a seat without being asked to sit down. Which hadn't brightened commander Pruda's already tetchy disposition. However, the commander was forced to restrain his urge to pound the Doctor's face by the presence of the captain. Instead, Pruda stood at rigid attention, the hands at his sides curled into tight fists. The captain meanwhile, was preoccupied with whatever information was on the computer before him. "It seems we have no choice but to grant your request for a trial by cerebral pugilism, Doctor." The captain spoke without looking at their prisoner. "Yet, I would not become too comfortable with this decision, were I you. It is up to me to decide whom your opponent shall be. And I have found a challenger that I'm sure you will not be able to defeat." The captain's finger touched the computer screen. "We are prepared for you now, Ageis." Seconds later, a man suddenly appeared in the room, coming out of thin air. He was an elderly, white-haired gentleman, clad in flowing white robes. Much to Pruda's obvious annoyance, the Doctor smiled and waved gaily at the newcomer. "Hello! I'm the Doctor. Welcome to the party! We were just about to put on our silly hats and pop open a bottle of orange Squash." Commander Pruda bowed deferentially towards the man. "Our scans say that he is a Time Lord, Ageis Grenwold. However, there must be some error. 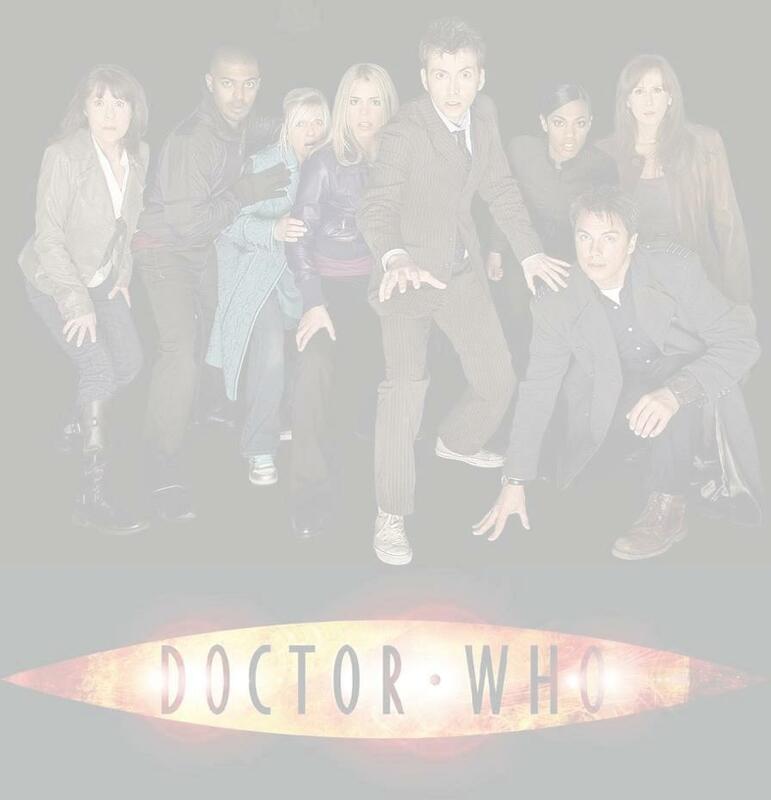 They were all destroyed in the Last Great Time War. So that does seem highly unlikely." "A good word," The Doctor winked, "'unlikely'. That's very me." "The planet known as Galifrey has long since perished. And when it burned, it took all of its people with it. That is an indisputable fact." Pruda insisted angrily. The Doctor merely raised an eyebrow at this. "You missed your calling, commander. You'd have made an excellent tabloid journalist." "Nevertheless Doctor, they are an extinct species. They no longer exist. Therefore, you cannot be a Time Lord." Pruda asserted forcefully. "Yes, commander. I know they're gone. Every day of the rest of my life begins with the knowledge that I was the one who destroyed them." The Doctor replied somberly. "But they're not extinct. Not yet, anyway. You see, I'm the last of the Time Lords." The pale man in the white robes spoke for the first time. His voice was deep and resonant, with an almost unworldly quality to it. "The Time Lords were nothing. A speck of cosmic dust adrift in the ebb and flow of the universe." "Ah. I'm sharing a room with a a poet, it seems." The Doctor remarked blandly. "I'd say that I'm impressed, but the commander there seems to have a problem with liars." "Your people were but a moment in the space of reality. Here and gone in the blink of an eye. We are The Everlasting. A part and parcel of everything there was, is now, and ever will be. All things flow through us, around us. We are everything and nothing. We have no concept of time. For us, it is irrelevant." The Aegis said loftily. "What? What! What!" The Doctor seemed genuinely flummoxed by this information. "How can you have no concept of time?" Pausing a moment, he scratched the back of his head. "Although, it did give you an excellent excuse when you wanted to stay home from school. And think about the long tea breaks at work. The possibilities are endless." "Time is meaningless to us. The Time Lords were mere children when it came to their knowledge of the universe. Prepare yourself, Doctor. For I have the power of all the cosmos behind me. The Everlasting cannot be defeated in any of your pathetic mind games."